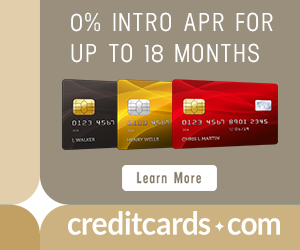 The Citi Prestige® Card is the top current credit card offer. 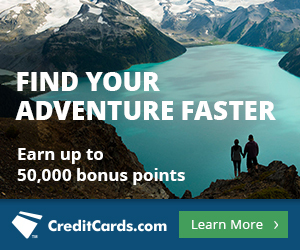 The card comes with 50,000 bonus ThankYou Points after $3,000 in purchases made with your card in the first 3 months the account is open, $250 in airfare or airline fee credits per calendar year, access to the American Airlines Admirals Clubs and Priority Pass lounges, 3x points per dollar on air travel and hotels, the fourth night free on paid hotel stays, three free rounds of golf per year, and a $450 annual fee. Currently that fourth night free on paid hotel stays is unlimited. There are people who are literally getting thousands of dollars (and possibly some people have gotten into five figures) worth of free hotel nights. Here is what the terms and conditions have to say about the unlimited benefit. A truism of miles, points, and rewards is that outsized value does not last forever. For instance, we saw the way-more-generous-than-competitors perk of the last night free on award stays disappear from the Club Carlson credit card. And I expect credit card sign up bonuses to stop counting toward qualification for the Southwest Companion Pass at some point. With all that in mind, take a look at the language about the fourth-night-free benefit using Citi’s card compare tool. It says “an annual worldwide 4th night stay at any hotel property,” as in “one,” as in “not unlimited.” That would be a huge change. However the terms and conditions for the card have not been updated to reflect any such change, so it remains to be seen whether a change will be made, and, if a change is made, how that will affect current cardholders. I will certainly keep an eye on this perk and keep everyone posted. For more information on the Citi Prestige® Card, check out my review of the Citi Prestige Card which explains its many benefits like $250 in airfare or airline fee credits per calendar year, access to the American Airlines Admirals Clubs and Priority Pass lounges, 3x points per dollar on air travel and hotels, and the fourth night free benefit as it currently exists. Just keep us posted I just booked 8 nites flt to Hawaii hoping to get card in Sept to use the 4th JUST like the others were using ..
Is it once a year now? So that’s reducing the value of this benefit? I wonder if this wording is for new cards going forward and we are “grandfathered” in? It seems like changing it to current users could invite legal action. I’ve got two so far this year! It’s still a good benefit but not a great one if it’s just an annual deal. It didn’t seem like that great a benefit to start with. They made me book through them to get the benefit, which would have cost me hundreds of dollars, because they wouldn’t match the conference rate I got. I am still waiting for someone to explain why it is worth keeping the card past the first year if you don’t golf and already have am AMEX platinum. It doesn’t work on non-commissionable rates. So, conference rates or something like I get with Marriott friends and family won’t work. But, they will match website rates and I’ve gotten great use out of it. Would it just be a matter of getting a booking in before the change? Or would the stay need to be completed before the change in order to get the 4th night free? None of the resorts I’m looking at are even open for booking next summer yet. We don’t even know if there is a change being made, so speculating how it would work is definitely premature.